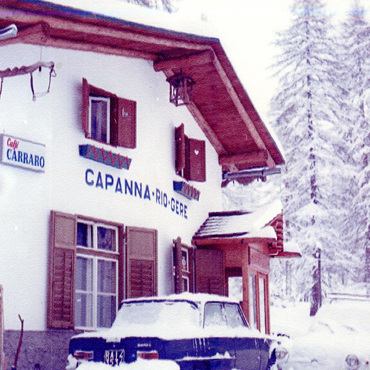 The restaurant, then named 'Capanna Rio Gere', was established just after the Olympic Games in Cortina in 1957. 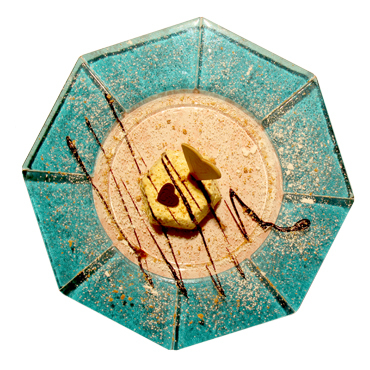 The 'Capanna' was run by Ado and Augusta, the grandparents of the current owner, Nicola Bellodis. Throughout three generations the management oversaw the restoration, evolution and transformation of Capanna Rio Gere into a restaurant that pays attention to welcoming its guests as well as the detail of its interiors. The restaurant comfortably hosts eighty people. 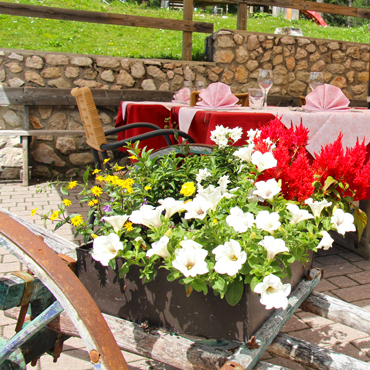 The external terrace, which is in demand even in winter, is well sheltered and sunny and can also host eighty people. 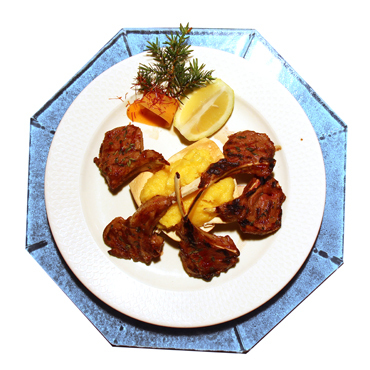 The most notable characteristic of the restaurant is its delicious, typical dishes that are reasonably priced. Additionally there is a large car park and a large green area to the rear, used for sun bathing and as a playground for children. 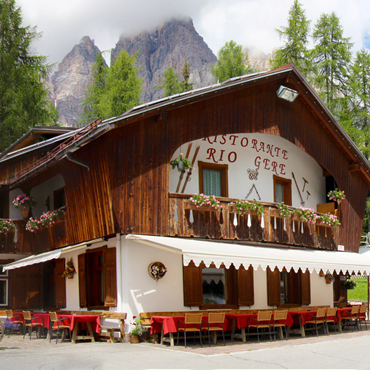 The Bar Ristorante Rio Gere sits in a strategic location on the 'Strada delle Dolomiti', just 2 Km from Tre Croci pass, at the foot of Monte Cristallo and is a starting point for trekking and skiing. 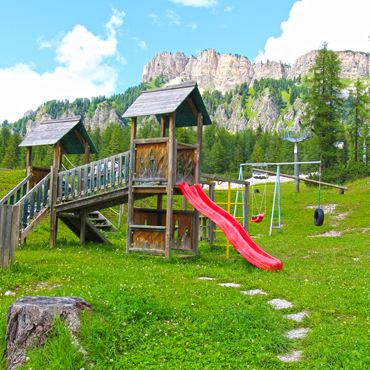 This is where the busy Ski Area Cortina Cube host many skiers in the winter as well as hikers in the summer. 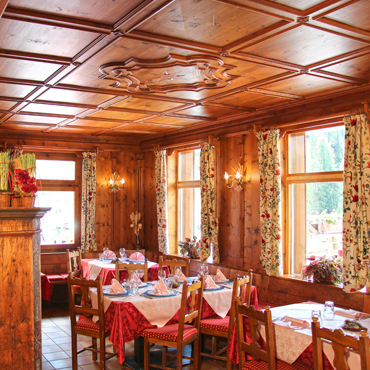 The welcoming atmosphere in the restaurant is created by an ambience of professionalism, relaxation and hospitality, so that anyone from skiers and hikers to families with children and large groups are welcome. 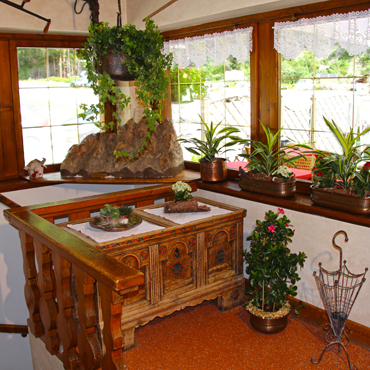 The interiors are wide and spacious, well decorated by local artisans and embellished with a variety of rural tools, antiques and paintings of the landscape by the artist Giulio Siorpaes. 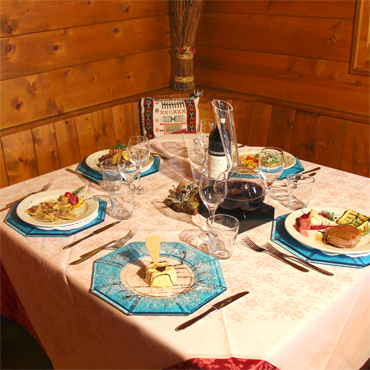 The restaurant is family run which guarantees the quality of the products. 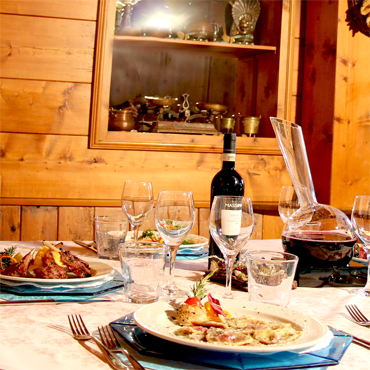 The traditional dishes are revisited to offer a large range of choice, without loosing the traditional flavours of the Ampezzo valley. For large groups, it is possible to agree a menu beforehand for both lunch and dinner time. The managers Nicola and Adriana are delighted to remind returning and new customers that for any information or booking (preferable for dinner) they can be contacted by phone or email. 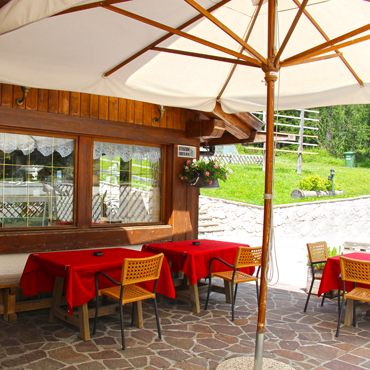 Starters include a variety of cured meat, deer carpaccio, a terrine of fresh spinach with speck and balsamic vinegar, mixed cheese board with aromatic mustards, polenta with cheese sauce and many other specialities. 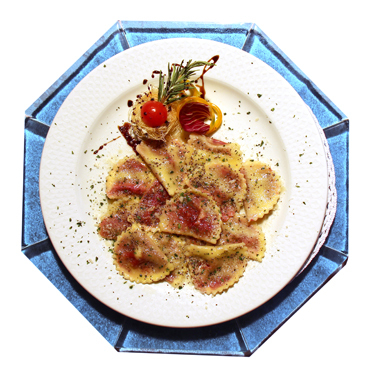 The first courses range from casunziei, spatzle and dumplings to cheese and walnut crespelle, game tagliolini, 'timballo' and many other home-made dishes. The main courses include a wide range of excellent grilled or pan-fried meat, including beef fillet, lamb ribs, venison steak, angus rib-eye steak, pork fillet and many more … The desserts are all home-made and include crepes filled with blueberry jam or nutella, and apple kaiserschmarrn, which are also a great snack on the way home from a hike.